When it comes to my style, I'd definitely say these two things are a must. While I always gravitate toward trendy & cute (what girl doesn't) it also MUST be comfortable. I can't be bothered with annoying pieces of clothing that I'm having to tug on or readjust. Obviously there are exceptions like say, my wedding day, when my dress was so tight I could barely sit down to eat. Shoes are also an exception. Because let's be honest, no 6 inch heal could ever be considered comfortable, but sometimes you just have to suffer for the cause, am I right? This outfit is a prime example of what I'd call comfy and cute. The second I put on the top I fell in love. I could seriously have taken a nap in it it was so comfortable. It fits pretty loose so I decided to tuck it in a little and then added a necklace. When I can put an outfit together in under 10 minutes, I know I've picked some good pieces. And the mustard color....does it get any more Fall than that? I put this outfit on early Saturday morning to go downtown with my sister and pick up our race bibs for the half marathon we ran this weekend. We went to lunch, ran errands and then ended the day with the whole family for dinner. When I can wear an outfit all day long and not want to rip it off my body and throw it across the floor the second I get home? That my friends is a mission accomplished. Flowy tops, skinny jeans, boots, flannels, over-sized sweaters, scarves and leggings are all comfy staples in my closet for fall/winter. What are some of yours? Oooh yes!! I feel the same way….I want an outfit that can take me through the whole day. This top is perfection! I love being comfortable too - that's why I hardly ever wear heels :) I love this outfit! I'm convinced if I didn't work I would wear outfits like this all the time. Drapey, comfortable and cute! Exactly!! I feel the same way. Many times I put something on and it looks super cute but then feels slightly off and I end up RIPPING it off me. Great look and I love the colors!! Hope you had a great race too! Such a pretty outfit for fall! Stopping by from WIWW! 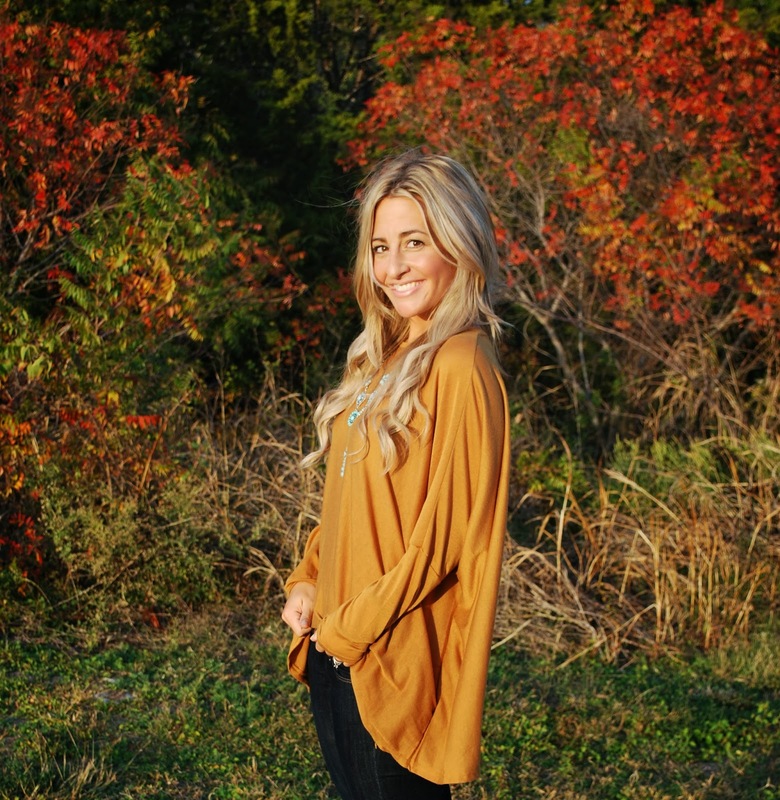 I love this flowy mustard top! I agree with you on the shoes, 6-inch heels are fabulous but oh so painful! I am so in love with that mustard top! I NEED it! LOL. Leggings, booties and boots along with tunics or oversized sweaters, scarves and beanies...yep, my fall/winter stapes!! I know what you mean! Comfy is a must for me, too. And that mustard top looks so soft! LOVE those boots and the fact that they are from Target!! I may have to check them out! There are three restaurants, along with a lobby lounge and rooftop bar serving tiki cocktails and tapas. Hikina serves reliable, if unimaginative, Cantonese cuisine, with dim sum, bao buns, crispy duck, sweet and sour chicken, and prawn and cashew stir fry all on the menu. With mains around 140 United Arab Emirates Dirham (30), it's worth taking advantage of the early bird discount if you're not on a half board package.. Yes, Gerardo replied, but he wanted to be interviewed anyway. "There were 20 guys there, and I was the last to be interviewed," he remembers. "At the end, two were hired, and I was one of them.". Only anti trump shirts a short lived voice quiver towards the end, but no tears at any point. Speaks about what God had planned for her resist t shirt life in the past tense, and goes on about the polygraph in a strange way. I hate to say it, but I think mom knows something.